The jury is still out on whether people at moderate risk of a first heart attack or stroke should take daily aspirin to lower their risk, according to late breaking results from the ARRIVE study1 presented today in a Hot Line Session at ESC Congress 20182 and with simultaneous publication in the Lancet. 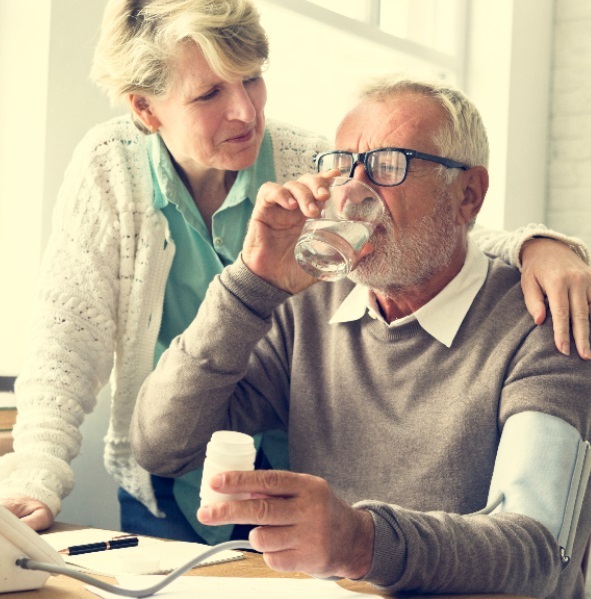 The ARRIVE study assessed the impact of daily aspirin on heart attacks, strokes, and bleeding in a population at moderate risk of a first cardiovascular event. Moderate risk was defined as a 20-30% risk of a cardiovascular event in ten years. The study enrolled individuals with no prior history of a vascular event, such as stroke or heart attack. Men were at least 55 years old and had two to four cardiovascular risk factors, while women were at least 60 years old with three or more risk factors. Risk factors included smoking, elevated lipids, and high blood pressure. The average age of participants was 63.9 years and 29.7% were female. In the intention-to-treat analysis, which examines events according to the allocated treatment, the primary endpoint occurred in 269 (4.29%) individuals in the aspirin group versus 281 (4.48%) in the placebo group (hazard ratio [HR] 0.96, 95% confidence interval [CI] 0.81-1.13, p=0.60). In the per-protocol analysis, which assesses events only in a compliant subset of the study population, the primary endpoint occurred in 129 (3.40%) participants of the aspirin group versus 164 (4.19%) in the placebo group (HR 0.81, 95% CI 0.64-1.02, p=0.0756). In the per-protocol analysis, aspirin reduced the risk of total and nonfatal myocardial infarction (HR 0.53, 95% CI 0.36-0.79, p=0.0014; HR 0.55, 95% CI 0.36-0.84, p=0.0056, respectively). The relative risk reduction of myocardial infarction in the aspirin group was 82.1%, and 54.3% in the 50-59 and 59-69 age groups, respectively. 1 The Aspirin to Reduce Risk of Initial Vascular Events (ARRIVE) study. Press Conference – Hot Line – Late Breaking Clinical Trials 1 on Sunday 26 August at 08:00 CEST. 3 Piepoli MF, Hoes AW, Agewall S, et al. 2016 European Guidelines on cardiovascular disease prevention in clinical practice. Eur Heart J. 2016;37:2315-2381.